As a songwriter, Julia’s music is acoustic based; but the arrangements go much deeper, pulling inspiration from her jazz and folk roots and natural R&B soul. She has over 25 years of professional performance experience and her voice has carried her around the world to grace the stages of legendary music venues. Feel the beat of the drum and the flow of melody in original music written and performed by Julia and her J3 Music Studios students. A companion CD is included with each of my musical storybooks, featuring a party jam track, an audiobook of the story, and an easy-to-sing original song. 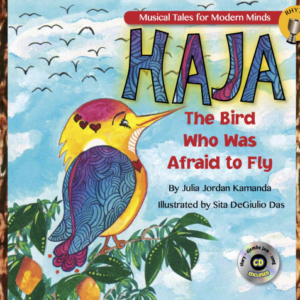 This CD includes a djembe drum jam track, an audiobook of the story, and the instant classic song “Fly Haja Fly,” performed by author Julia Jordan Kamanda and students from J3Music Studios. 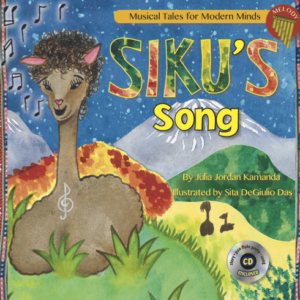 This CD includes a pan flute party jam track, an audiobook of the story, and easy-to-sing “In My Heart (There Is a Song),” written and performed by Julia Jordan Kamanda and her students. Keep Current with What's New with the Music Mommy!